Country fans, get hyped! It’s that time of year again – the time to grab your pass to ALL the hottest country shows of the season! 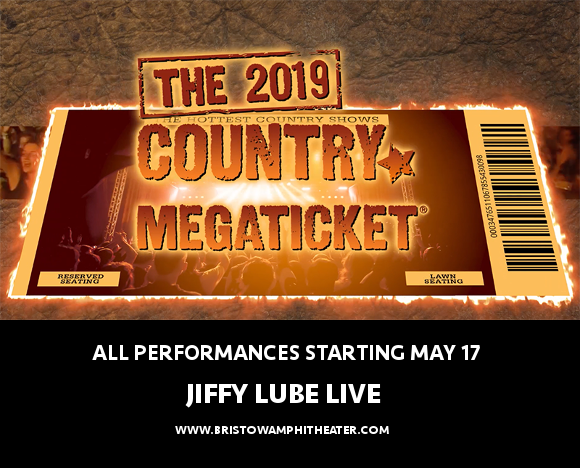 That’s right, this year Jiffy Lube Live is proud to once more host the Country Megaticket – giving you access to no less than EIGHT spectacular country shows each featuring a variety of artists! This year’s line-up includes Brad Paisley, Rascal Flatts, Cole Swindell, Tenille Towns, Jon Pardi, Morgan Wallen, Florida Georgia line and MUCH MORE – what are you waiting for?? Grab your tickets NOW while they last, and get those cowboy boots ready for things to kick off from Friday 17th May 2019! Well, what are you waiting for?? This awesome package deal isn’t going to be around for long, so make the most of the time you have and get your hands on those Country Megatickets today! !